Loretta Wade is a LibraryThing Author, an author who lists their personal library on LibraryThing. 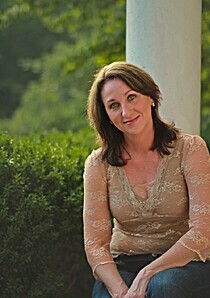 See Loretta Wade's author page. About meLoretta Wade was raised as a farm girl in rural North Alabama where she learned a true understanding of the simple life. Her parents, James and Ora Freeman May, gave her a carefree country childhood in the Thompson Falls community of Marshall County, Alabama which is still listed by its old name on the county map as Ben Johnson Ridge. She continues to enjoy country living on the acreage where she grew up, gardening, canning and preserving, drying laundry on a line, and raising farm fresh eggs. She uses many sources to draw the inspiration for her novels and her library contains many of today’s Modern Day Classic genres including: Fiction, Biography, Supernatural, and Inspirational. Loretta’s novels have achieved international notoriety for her expertise in introducing Southern American life to her readers through the lens of her own life experience. About my libraryLoretta’s first novel “Walking in Slippery Places” was re-released in 2015 and is a supernatural thriller that tells of of a close encounter with the occult. Answering some questions that came from “Walking in Slippery Places” Loretta moved into the inspirational supernatural genre with her next novel “When the Rainbow Comes” a gripping story that wrestles with some of the deepest question about life, death, and the hereafter. A biography came next. “Single Handed – The Story of Keith Maze and His Dog Wishbone” is an inspirational biography of Keith Maze and his battle with cancer and how his dog Wishbone helped to show him that life can go on even after terrible tragedy. In 2014, the southern saga “The Late Night Side of Morning” was released as a free E-novel and was received with rave reviews. This novel was inspired by her ancestor (Dr. ‘Doc’ William May) who suffered death at the hands of his forty-year-old suitor’s (Andrew Sheffield) father, Col. James L. Sheffield in 1890. Andrew Sheffield’s story is written in John S. Hughes "The Letters of a Victorian Madwoman." Loretta’s fifth novel “Where the Willows Weep” draws heavily on her own personal experiences and is written as an expression of her sentiment for patients fighting debilitating disease and loyal love of pets.